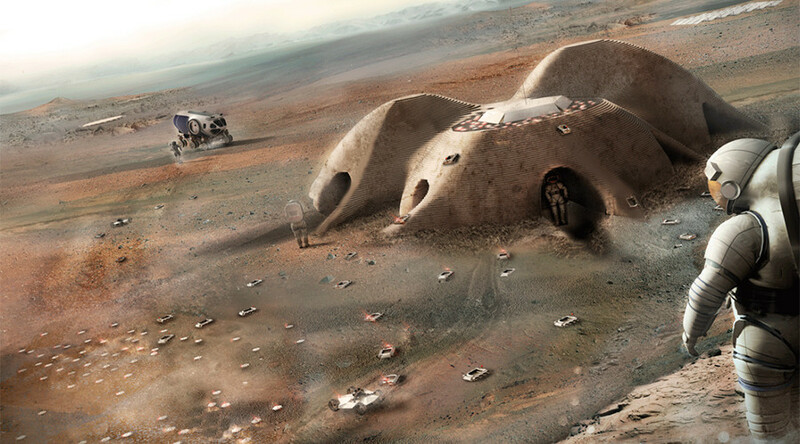 An Australian-based architecture firm has unveiled a number of images depicting a potential future Mars settlement that could be built using a kind of 3D printer. The project has been shortlisted by the US Space Agency NASA. The Foster + Partners firm which took part in the 3D Printed Habitat Challenge organized by America Makes and NASA has created a futuristic design of a 93-square-meter astronaut base on Mars. The project is now among the 30 finalists chosen by NASA and the National Additive Manufacturing Innovation Institute. The settlement is supposed to be built from rigolith – which is found on Mars – by semi-autonomous robots that would arrive on the red planet ahead of astronauts. 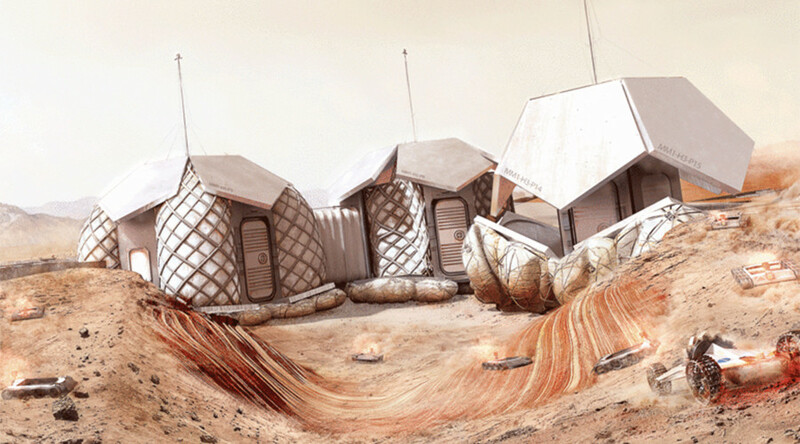 “The design of the habitat – carried out in collaboration with industrial and academic partners – envisions a robust 3D-printed dwelling for up to four astronauts constructed using regolith – the loose soil and rocks found on the surface of Mars,” said the company in a statement. According to the plan, these so-called automatons would prepare a 1.5 meter deep crater for inflatable modules that would be delivered afterwards. Next, smaller robots, called “Melters,” would be sent to the site to cover the inflatable modules with Martian soil using a special microwave technique resembling 3D printing. As a result, the base would provide “a permanent shield that protects the settlement from excessive radiation and extreme outside temperatures,” its architects claim. The interior of the base would have private as well as communal zones enhanced by virtual technology aimed at shaking up the monotony of a daily routine an astronaut exploring Mars would undoubtedly face. The project is also believed to be potentially useful for creating positive living environments on Earth, in the event that humans never do manage to move to Mars. This is not the first time Foster + Partners has turned its attention to extra-terrestrial construction projects. Last year, they unveiled plans to build a base on the Moon in cooperation with the European Space Agency. The winners, who are competing for a $50,000 prize, are to be announced on Saturday at the World Maker Faire in New York.